These are vintage hoops or pendants that were made in Italy. They are an acrylic material. There is a beading hole at the top of these. 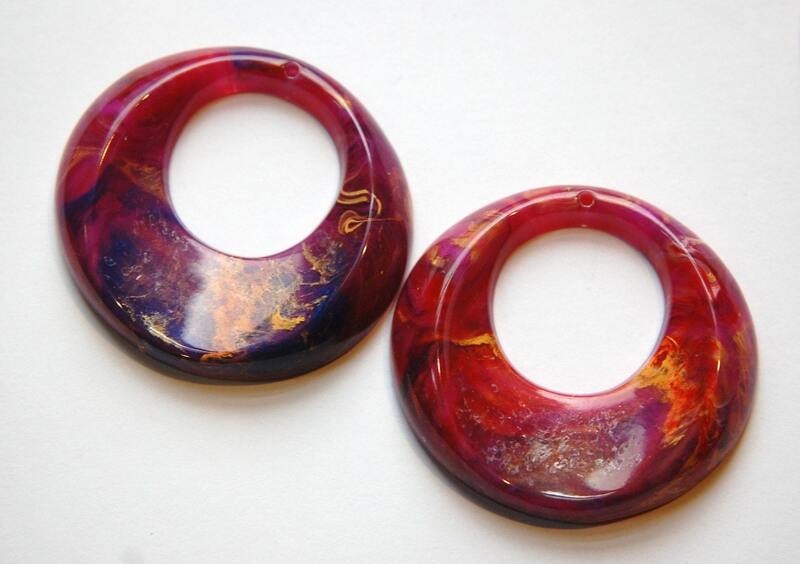 The color is a blend of pink, reddish pink, purple and gold swirls. These measure 47mm. You will receive 2 pieces. Just a little out of my comfort zone - that's why I love them so much. Can't wait to see what happens with these.